Afternoon ladies! Today I want to show you my nails that I had last week. 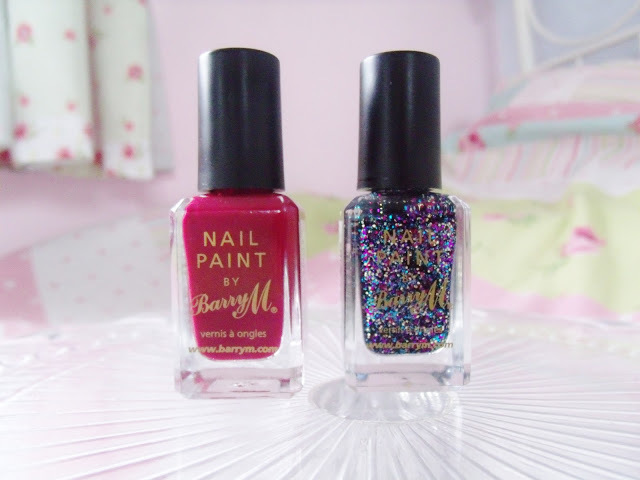 I used two new Barry M polishes that I bought a few weeks back; Raspberry and Amethyst Glitter. The rasberry looks a really nice burgundy red in the bottle, but when it comes out it’s actually a very dark pink. It’s still really nice though! It also goes on really nice and thick, and dries smooth. This is with only 2 coats, and it’s been really long lasting. The Amethyst Glitter has lots of tiny glitter particles in lots of different colours, mainly blues and purples, but also gold and silver. 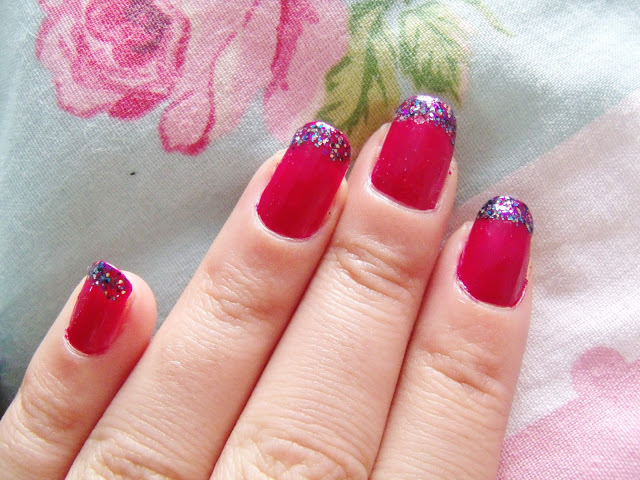 I decided to use the glitter on my nail tips to give them a little bit of festive sparkle! These nails were a little bit hard to photograph, but hopefully you can see them well enough. I’m still getting to grips with my new camera. Photography is frustrating! 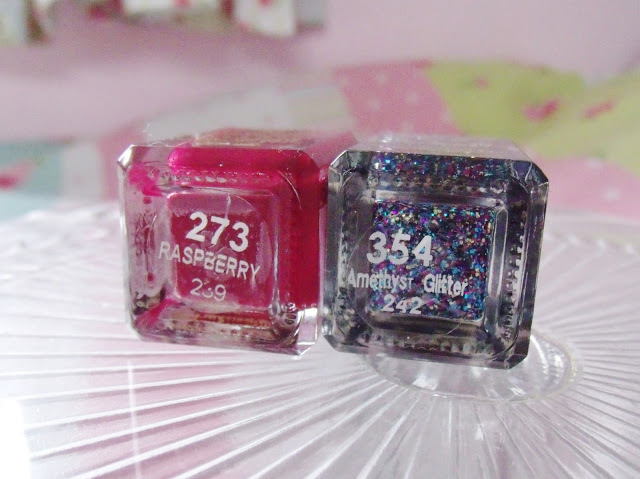 These nail polishes are only £2.99 each from Superdrug. 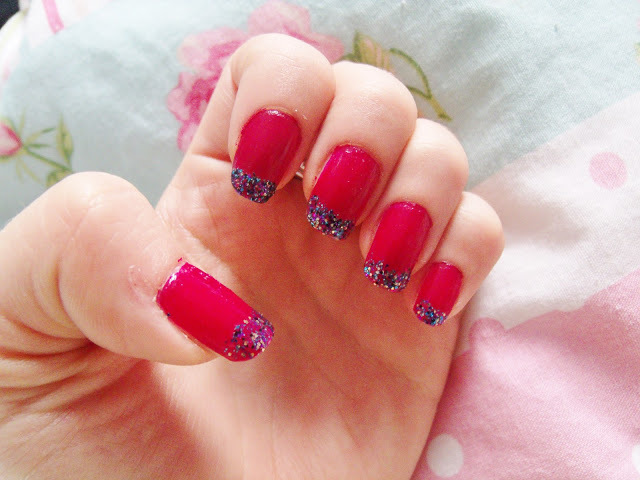 I love these glitter tips, especially wwith the raspberry colour! Think I need that multicolour glitter! I have both polishes, but the raspberry does actually dry burgundy on my nails. I like the two polishes used together. 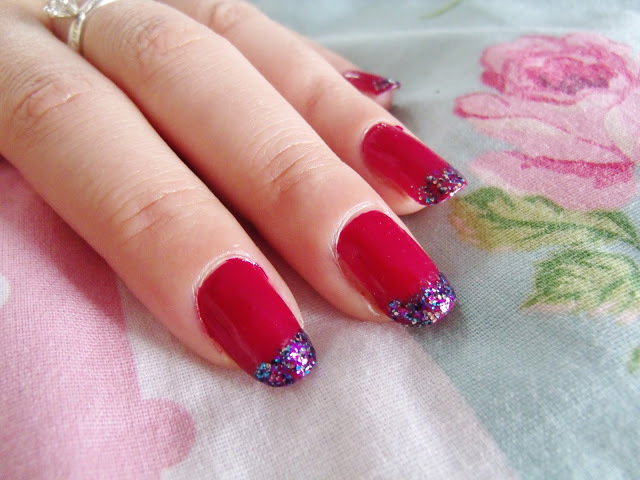 I've paired Ruby Glitter with the raspberry a few times recently and they look so pretty together- would definitely recommend that one to you!